We take a look at the best VPNs for Bitcoin that take your privacy seriously. We’ve rounded up 5 VPNs that take cryptocurrency, have great security features and maintain good speeds. If you made a venn diagram of people who use Bitcoin and people who use VPNs, more than a few of those people would land in the overlapping center. We share a penchant for technology and a preference for privacy. So it makes sense that many of the best VPN providers accept bitcoin as payment. While not completely anonymous, paying with bitcoin allows you to buy a VPN subscription outside the scope of banks and other financial institutions. The price of a subscription is pegged to the same dollar amount that you would spend otherwise, and thus adjusts according to the current price of bitcoin. If you tread carefully, it’s possible to sign up and pay for a VPN without leaving a trace as to who you are. More on that later. In countries where bitcoin is banned and exchanges are censored or monitored, a VPN can help bypass these obstacles and allow you to freely trade cryptocurrencies. ExpressVPN Our #1 choice. Solid commitment to protecting the privacy and security of its users. No email address required. Numerous super-fast servers in over 90 countries. Also works great in China and throughout the Middle East. Includes 30-day money back guarantee. NordVPN Budget provider that does not skimp on privacy and security. Keep no logs of browsing activities. Vast server network. CyberGhost Low-cost streaming favorite due to fast server speeds. Strong privacy features and the ability to retain anonymity. PrivateVPN Direct Bitcoin payments accepted (no third-party middleman). Scores top marks at unblocking geo-restricted content. SaferVPN Stores no identifiable user data. Not as beginner-friendly as other choices here. ExpressVPN accepts Bitcoin via BitPay for all of its plans. The 30-day money-back guarantee still applies to those who pay with Bitcoin. To sign up, the only other necessary information is an email address. ExpressVPN does not log your internet activity or your email address, but does store some non-identifying diagnostic info like dates (not times) when you used the VPN, total amount of data transferred per day, and choice of VPN server. The apps use best-in-class security, including 256-bit AES encryption, perfect forward secrecy, and comprehensive leak protection. BEST VPN THAT ACCEPTS BITCOIN:ExpressVPN is our #1 Choice. It has a vast server network that is optimized for high-speed connections. User-friendly apps for all operating systems. Hard to beat on privacy and security. There is a 30-day no-quibbles money-back guarantee so you can try it risk-free. NordVPN accepts Bitcoin via BitPay for all of its plans, and those who use it still get the 30-day money-back guarantee. The only other information necessary to sign up is an email address. NordVPN adheres to a strict zero logs policy. DNS and IPv6 leak protection come built in, as do two kill switches: one that allows you to block internet traffic across the entire device when the VPN connection drops, and one in which you can specify which programs get cut off. On top of normal OpenVPN and IKEv2 servers, specialized servers include Tor over VPN, double VPN encryption, and anti-DDoS. 256-bit AES encryption is paired with perfect forward secrecy for an uncrackable tunnel. More than 3,000 servers are scattered across the globe. NordVPN is a capable unblocker of geo-locked streaming channels like Netflix, Hulu, Amazon Prime Video, and BBC iPlayer. You can connect up to six devices at one time, making it a great option for a small household or office. US customers can also pay with cash at certain vendors. BEST BUDGET VPN:NordVPN is a great value choice. A good all-rounder with a robust network of servers. Strong security and privacy features. Accommodates up to 6 devices. Includes 30-day money back guarantee. CyberGhost accepts bitcoin payments via BitPay on all of its plans, and you still get the 30-day money-back guarantee. CyberGhost uses 256-bit encryption and perfect forward secrecy to create a super-secure tunnel to the VPN server. The company boasts a clear no-logs policy. You can also avail of extra security features like anti-malware and anti-tracking. DNS and IPv6 leak protection is built in. Some servers are equipped with double encryption for added security. CyberGhost allows you to connect up to five devices at the same time. Over 1,300 servers are available to choose from. You can select a server based on how you plan to use the VPN, such as streaming or anonymous browsing. CyberGhost Pro can unblock several streaming channels like Netflix US, BBC iPlayer, and Amazon Prime Video. BEGINNERS' CHOICE:CyberGhost is easy to use and set up. Great security and privacy with zero logs and DNS leak protection. Unblocks popular streaming platforms. 45-day money back guarantee. You’ll get 256-bit encryption, perfect forward secrecy, and a no-logs policy. DNS and IPv6 leak protection come standard, and you can simultaneously connect up to six devices. PrivateVPN is one of the best unblockers in the business, despite its smaller server network. You can access Netflix, BBC iPlayer, Hulu, and Amazon Prime Video from abroad. GREAT SPEED:PrivateVPN is consistently reliable. Good for general purpose use and HD Streaming. Great security and privacy. Could do with having more servers and lacks 24/7 support. 30-day money back guarantee. SaferVPN accepts Bitcoin payments via BitPay, and all plans come with a 30-day money-back guarantee. SaferVPN only logs some non-identifying diagnostic data, which does not include records of your online activity, DNS requests, or your real IP address. Perfect forward secrecy is combined with 256-bit AES encryption to secure all the traffic heading to and from your device, using either OpenVPN or IKEv2 protocols. We noticed public DNS servers are used for some locations, according to our review, so make sure you’re using one with SaferVPN’s private DNS servers beforehand for maximum privacy. SaferVPN unblocks US Netflix and sports some very quick connections, which will allow you to stream in HD. Over 700 servers are available in 34 countries. SIMPLE INTERFACE:SaferVPN achieves great speeds. Reliably unblocks geo-restricted content and has great privacy credentials. Lacks some popular features. Includes a 30-day money back guarantee. A common misconception is that bitcoin is anonymous. In fact, the sender, receiver, and amount of every transaction is recorded in the blockchain, a digital public ledger of all transactions on the bitcoin network. Whether you use a VPN or not, the blockchain will record your wallet address, the wallet address of the recipient or sender, and how much bitcoin was transferred. That means your purchase of a VPN with bitcoin can still be traced back to you. However, only the wallet addresses of each transaction are recorded, and wallets aren’t necessarily tied their owner’s real identity. This pseudo-anonymity will be sufficient for many, but if you really want to anonymously spend bitcoin on, say, a VPN subscription, be prepared for a few more steps and fees. If you want to spend your bitcoin anonymously, check out our guide on how to mix bitcoin. We explain how to use Tor Browser to hide your IP address, create burner email accounts on Mailinator, and ultimately tumble bitcoin to hide its origin. If Bitcoin-related websites and apps, such as exchanges, are blocked in your country, you can use a VPN to gain access. A VPN encrypts all of a device’s internet traffic and routes it through an intermediary server in a location of your choosing. That means you can access blocked sites and apps by connecting to a server in a country where bitcoin is legal. It’s that easy! 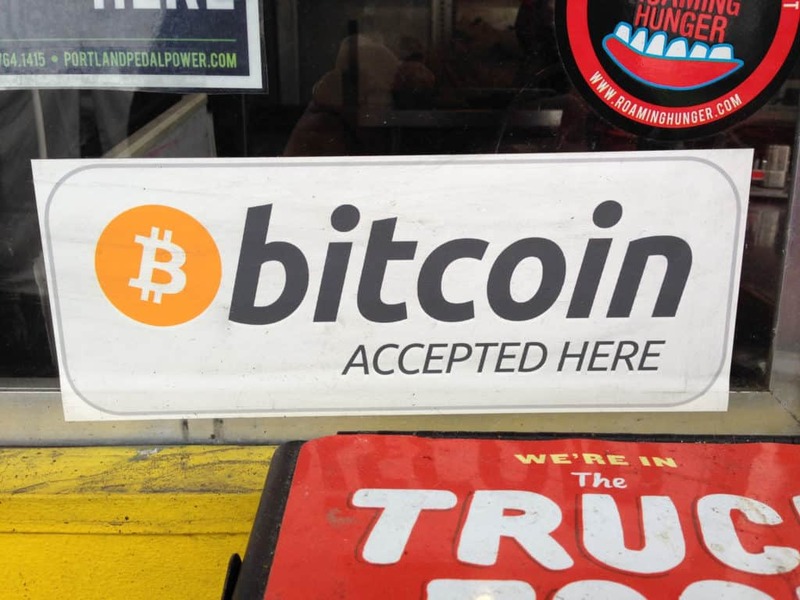 You can even gain access to exchanges and other Bitcoin-related services that are region-locked to specific countries, although exchanges in other countries will likely require local forms of fiat payment. Where do I get a burner email address? Most VPNs at least require an email address to sign up. 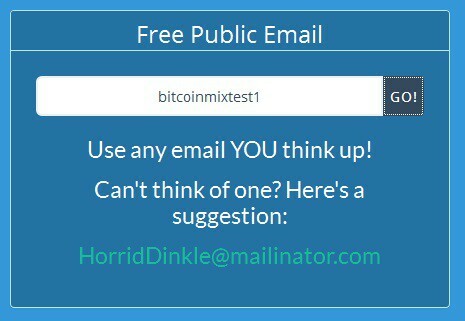 You can use your own email address if you’re not too concerned about leaving a trace, but bitcoin users might want to use a burner email to make the entire transaction as anonymous as possible. A couple of our favorite free burner email services are Mailinator and Geurrilla Mail. To use them anonymously, access their websites with a VPN or Tor Browser. The VPN website should also be accessed using Tor Browser or a VPN. This prevents websites from logging your IP address, which can be traced back to you (note that the VPN services we recommend don’t record IP addresses, but their websites likely do). Mailinator allows you to receive email at any address you can think of that ends in “@mailinator.com”. Just make something up, e.g. paulbischoff@mailinator.com, when you sign up. There’s no need to set anything up ahead of time, just go to Mailinator and check the email address you just invented. Note that anyone can check the same email as you—all emails are part of the public domain—but no registration or authentication is necessary, so as long as you’re on the Tor Network, nothing can be traced back to you. You can’t reply using Mailinator, but you probably only need the email for account verification and app activation, anyway. Also, emails are deleted every eight hours or so, so make sure to copy any important information ahead of time. Although emails get deleted, the email addresses do not, so you can continue to receive mail at the same address, so long as you check within eight hours of receiving it. Geurrilla Mail offers disposable temporary email addresses. A new email address is generated as soon as you go to the website (again, use Tor Browser). You can send and receive email, reply, and open attachments. No registration is necessary. Like Mailinator, anyone can check your inbox without a password, but emails are not part of the public domain. Email addresses last indefinitely, but the emails themselves only last for one hour before being deleted. Guerrilla Mail is open source and accepts Ethereum donations.